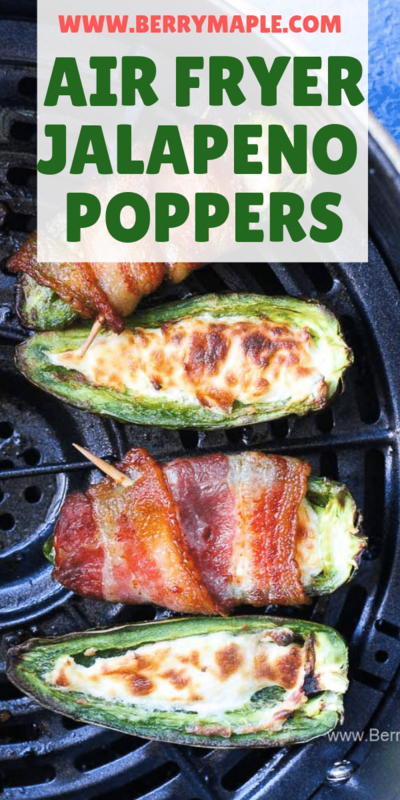 This easy air fryer jalapeno poppers recipe stuffed with cream cheese and wrapped in bacon is keto, low carb and weight watchers friendly. 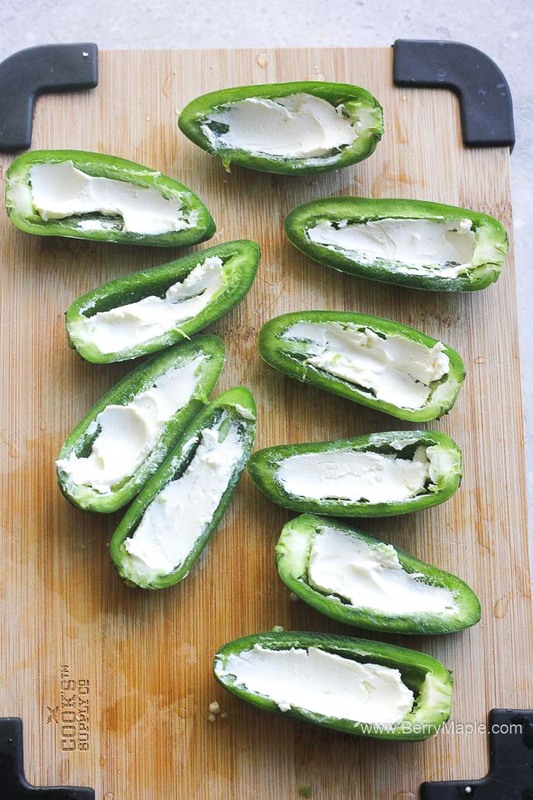 This peppers will be perfect for your next party as an appetizer, they are filling, crunchy outside and creamy cheesy inside. Fill them all up with soften cream cheese. You cam add freshly chopped parsley or cilantro in it too. 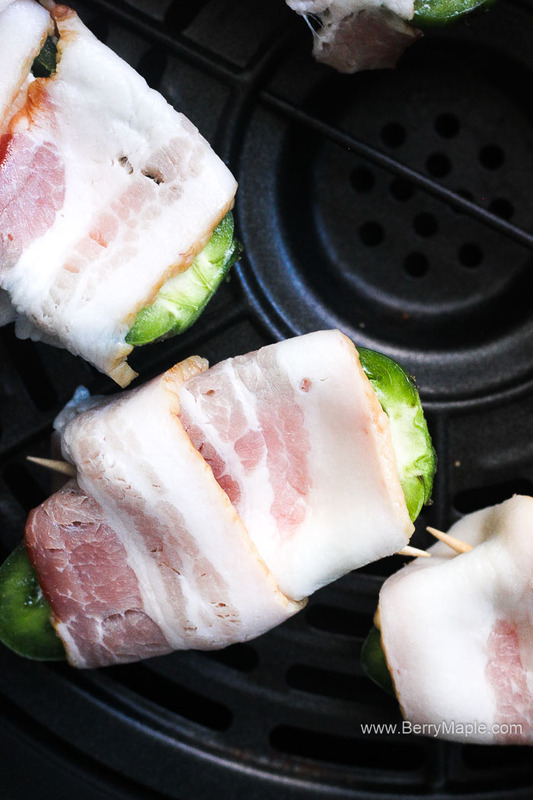 Use thin cut bacon, it will make it easier to wrap. 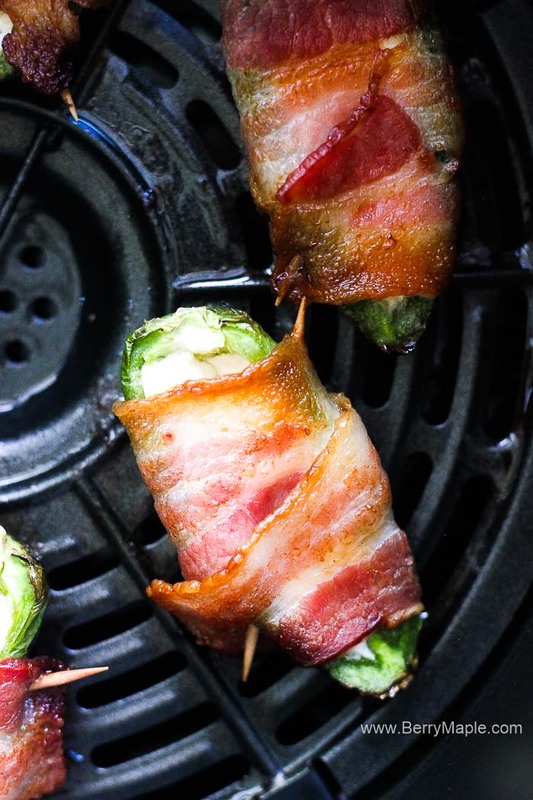 Also use toothpicks to make sure that bacon will stay at its place. This babies quickly became our family favorite. They will be great for any party , so far i didnt meet a person who would not like them. I guess you cam also dip them into a sauce or some dip, to add more flavor. You can always add your favorite herbs and even ground sausage to your cream cheese mixture. I like to keep it simple! 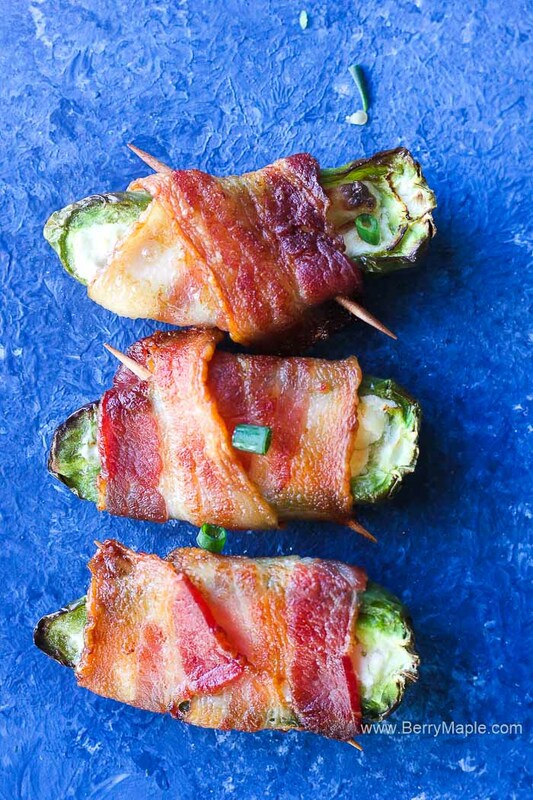 This is truly the bests air fryer appetizer i tried to cook so far. I will keep you posted if i will change my mind! Cut jalapenos in half and remove the seeds. Fill them with cream cheese ( don't put too much). Preheat air fryer to 370F. Cut every strip of bacon in half. 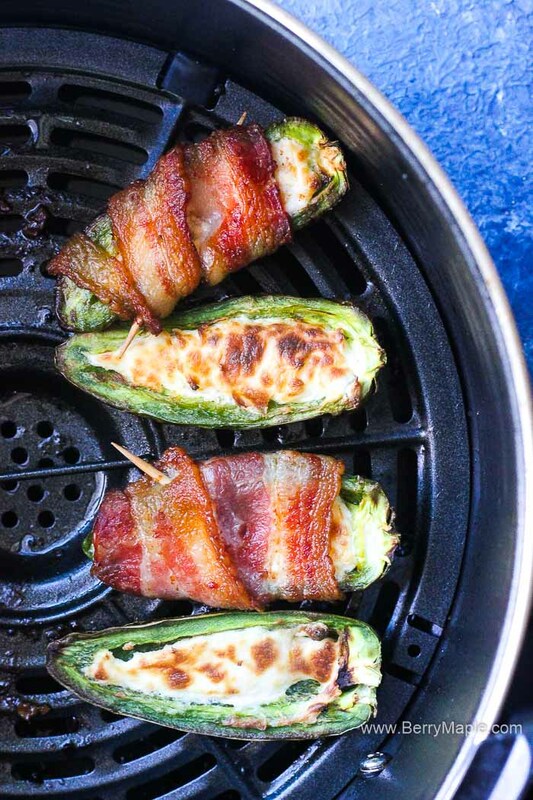 Take each half and wrap each stuffed jalapeno with it, securing it with the toothpick (see photos). 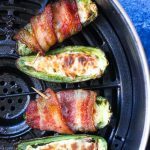 Add wrapped jalapenos in to your preheated air fryer. Cook for 6-8 minute ( check on them every once i a while to make sure the bacon is at your preferred crispiness level).